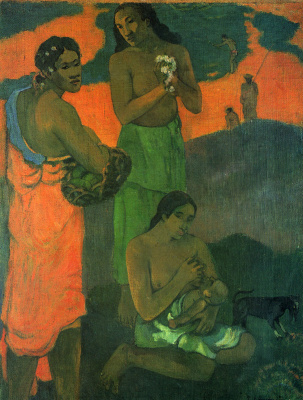 In August 1893, Gauguin left Tahiti and returned to France. In Marseille, he arrived dead in the water, the artist didn't even have enough money to get to Paris. 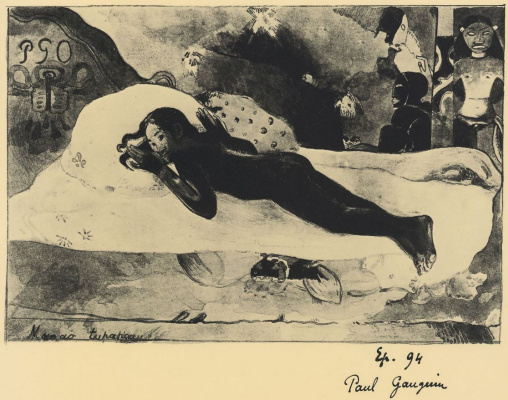 Gauguin saved friend and pupil Paul Ceruse that sent him 250 francs. 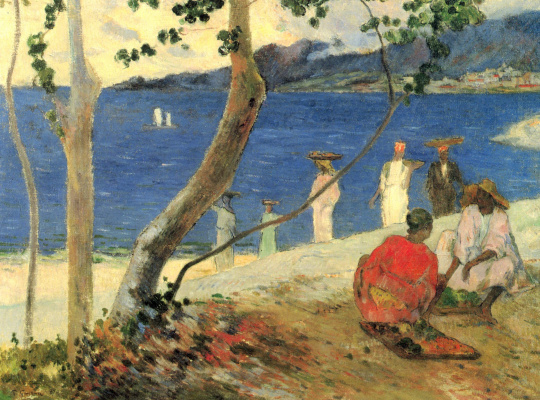 In November of Gauguin staged in the Gallery Durand-Ruel an exhibition and sale of his paintings, mostly Tahitian subjects. It was a complete disaster: the artist, contrary to their expectations, have not received neither recognition nor money. In mid-spring of 1894 he again goes to Brittany in search of inspiration and a simple, less expensive life. 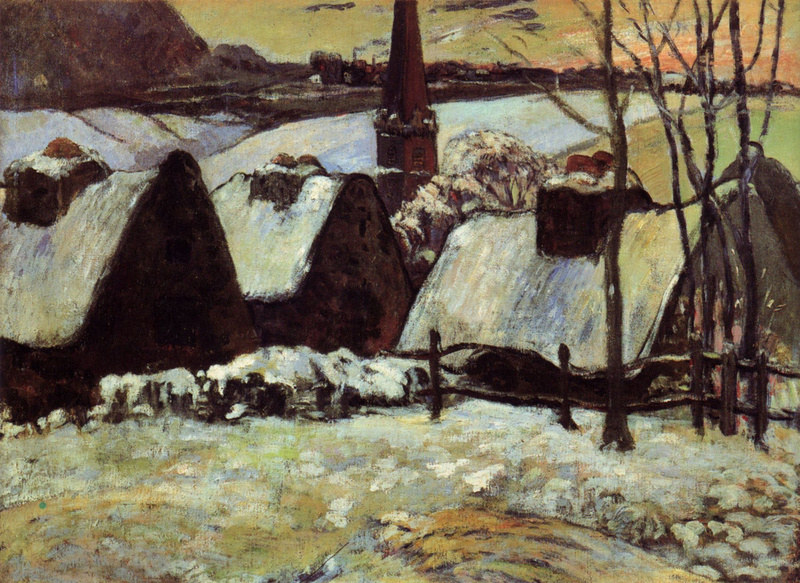 At this time he creates a picture "Breton village in the snow". Researchers cannot agree in opinion with regards to whether this landscape is taken entirely from the imagination of the artist, or it was written from life. 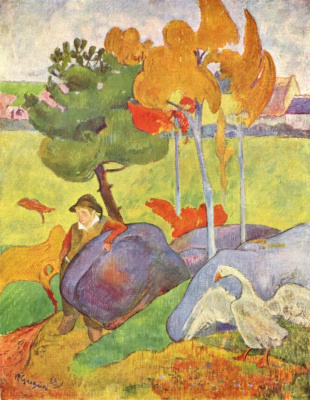 Gauguin arrived in Brittany in April, and in November he returned to Paris, so the snow here, he could not catch. 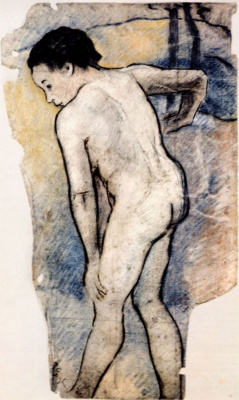 This painting was discovered on the easel in the artist's Studio in Papeete after his death. 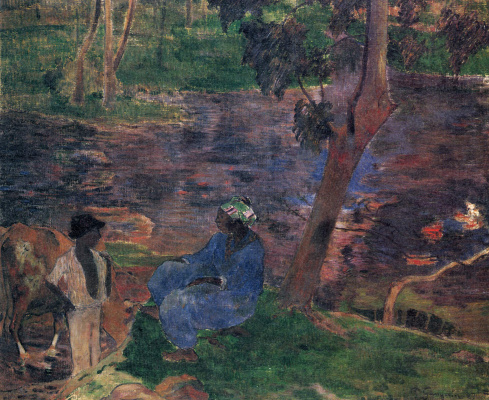 It was neither date nor signature, and it is assumed that Gauguin has finished work on a painting in Tahiti. In the "Breton village in the snow" felt the influence of the Impressionists, which depicted snowy landscapes in different lighting and in different weather conditions, sensing changes and nuances. 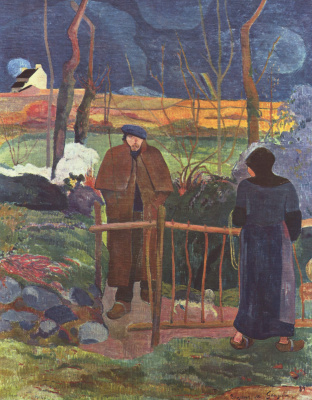 But unlike them, Gauguin actually deprived of this snowy village life. We see here no people, no animals. Study of paintings by x-ray confirmed that originally in the foreground in the left part of the canvas was a depiction of some animal, and on the right a human figure, but the artist later painted over it. The lack of any living creatures, combined with the heavy outlines of the houses, hidden under a thick layer of snow, causes a feeling of desperate loneliness and endless barren winter. 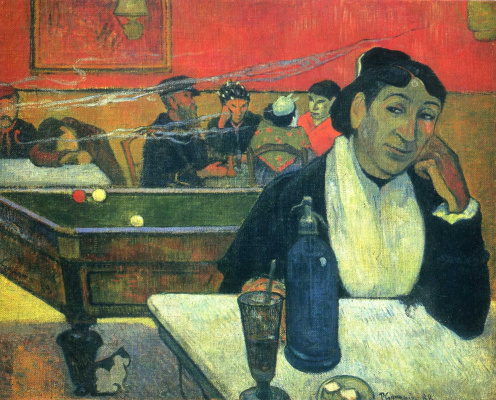 Funny story about this picture says the writer Henri Perruso in the book "the Life of Gauguin". Though the story itself happened after the death of the artist. 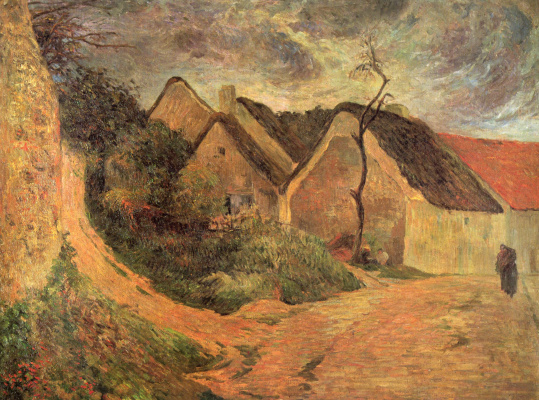 Gauguin died in may 1903, and on September 2 was held a sale of the property and works in the environment where it found death. 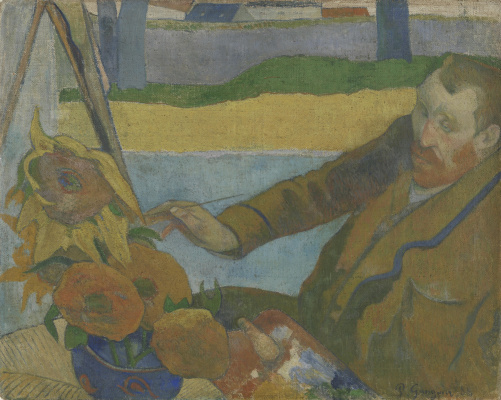 The ship's doctor Victor Segalen bought for eighty-five francs seven paintings by Gauguin, among them self-portrait "At Calvary" and "Breton village under snow", which the appraiser showed up, but because it gave her an unexpected name - "Niagara falls".